Goa is the smallest state of India. 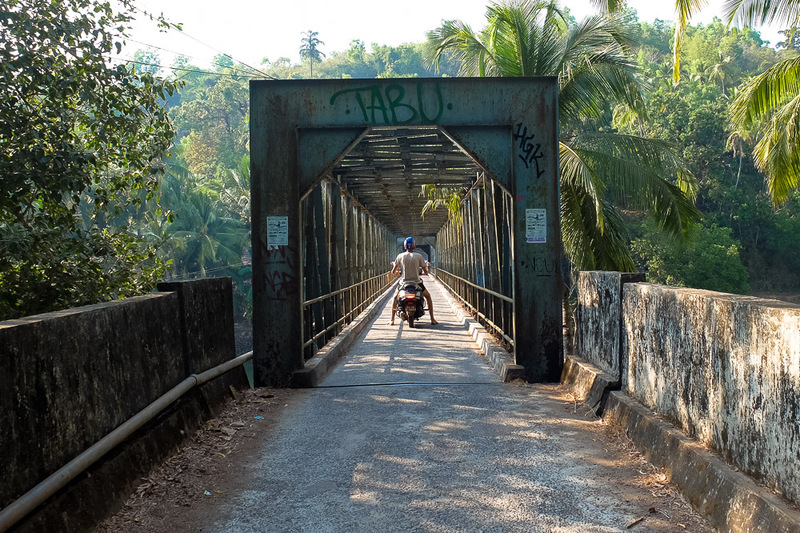 And even though all the distances here are relatively short – it’s only about 100 kilometers from North to South – most of tourists choose not to travel by local bus in Goa. I can understand why. Because they don’t know how theses buses in Goa are operating. But let me help you to understand it better! As chaotic as it may look at the beginning, especially if it’s your first time in India, there is nothing too complicated about local bus system in Goa, I can assure you. I have been using Goa local bus service to travel back and forth all across the state. And in this article I’m going to share with you all the basic things you need to know to take a local bus in Goa. Why to use public bus service in Goa? How to find the bus you need? Where you can get using local bus in Goa? How to get to and from Goa International airport using public bus? Answers to all these questions you will find in this article. TRAVEL INSURANCE: For travelers to India we recommend World Nomads Explorer Package! Why to Use Local Bus in Goa? How to Use Local Bus in Goa? Does It Still Sound Complicated to Take a Local Bus in Goa? Price of the ticket ranging from 10 INR (about 0,15 EUR/USD) for a shorter ride to 40 INR for a half across the state journey on an express bus, where everyone has a seat (that’s our experience) and where bus is going directly without any stops. Using public bus you can get to all the main tourist attractions as well as to most of this state’s beautiful beaches. It will be harder to get to the most secluded ones, though, but sometimes even on a motorcycle you can’t make it all the way to these beaches, as you might need to walk at the end anyway. Think of Cola beach or Butterfly beach, for example. Even though it’s cheap to travel around in Goa by bus, and you can almost everywhere, it may become expensive in some cases. Especially if you are traveling together with someone, when you could share costs of taxi or tuk-tuk, auto rickshaw. And also when it’s some more distant place where you are going to. In latter also time necessary for a trip may be a point to think about. For example, getting to Ponda by Goa local bus (most popular spice farms of Goa are there) will cost you only some 20 INR or 0,3 EUR (depends from where you are coming), but a taxi ride from the bus stand to farms, for those few last kilometers, could be around 200 INR or more. Maybe it’s better to take a taxi for the whole trip? Maybe. But again, you can walk to these spice farms. It’s not that far away. So be smart and do some calculations – both of time and money – before refusing offer of a taxi driver willing to take you to [put here a name of any attraction or place you want to get to] straight from your beach shack or hotel. It might be overpriced as hell, but it may be also the best deal you could possibly get. BEST HOTELS IN: Baga, Calangute, Vagator, Palolem. Most of the buses in Goa are old. So it gets pretty hot inside as there are no fans or air conditioners. And mostly it’s also a very bumpy ride, too, haha. But what could be even more important for you is that most of them don’t run before 7 AM and after 7 PM. So, yes, local bus service in Goa in most of places starts at about 7 AM, but after 7 PM it could be tricky to find a bus. So here you are, standing on the side of the road. Bus is coming in the right direction, but you are not sure if it’s the one you need. Not a problem! Raise your hand, the bus will stop (not all of them, though) and you will have a chance to ask the bus conductor, if the bus is going to a place where you need to get to. Most probably bus conductor will be the one who will open the doors for you. If there is no bus conductor just ask anyone near the doors or the driver. Local buses in Goa connect most of the state’s cities and villages. There are buses of state transport corporation and then there are private buses. Last ones are those which will stop to pick you up wherever you will be standing. And schedule of those buses for most of the time is written just by the doors of the bus. Though, all you will see there is the time of departure from one and another end of the route. Anyway, it gives you an idea when and how often you can expect it coming. Once you enter the bus, find a seat, if there is a free one, and sit down. After some time bus conductor will come to you and you will buy a ticket. In private buses mostly it means, that you will pay money and that’s it. No one will issue any ticket. At the same time, when using shuttle bus service in Goa, operating between state’s largest cities – Panjim, Margao and Vasco da Gama, you need to buy a ticket at the ticket counter before getting on the bus. From our experience, shuttle bus starts to drive once all the seats are taken. And then arrives the next bus. So don’t worry if you miss a bus! Speaking about Goa local bus timing most of the buses in Goa are running between 7 AM to 7 PM. Your chances of getting anywhere triples once you are in one of the bus stations. So go there first, especially if you are in some village right now, and look for the right bus from there. Biggest bus stations in Goa are – Mapusa, Panjim, Vasco da Gama, Margao (known also as Madgaon) and Canacona. Look around and if you can’t find any bus going in direction where you need, ask any of the bus conductors, and they will help you. Chances are pretty high, that once out of the first bus you will be approached by one of the conductors from some another bus asking you where you want to go next. As annoying as it may feel at first (thinking about all these taxi drivers asking me where I am going), these men at bus stations of Goa have been nothing else than a huge help to us. As a result not even once we have been looking for the next bus for more than 5 minutes. Because there always was someone, who could show us where to look for it. Using local bus in Goa you can get almost everywhere. And that includes also most of the tourist attractions, beaches of Goa, as well as Goa International Airport. Here I’ll give you an example with few popular tourist attractions in Goa and how to get to them. Go to Margao and take a bus to Canacona or directly to Palolem beach. Canacona bus station is about 3 kilometers from the beach. You can get to the beach either taking an auto rickshaw or motorcycle taxi, the last one is the cheapest option. Go to Margao or Panjim and take a bus to Ponda. Last few kilometres you can either walk, take a taxi, auto rickshaw or motorcycle taxi. There are two spice plantations nearby – Sahakari Spice Farm being the closest one and Tropical Spice Plantation further away from Ponda. Bathing with elephants is possible in both of these places. How to get from Panjim to Calangute? It’s very easy since there are direct buses from Panaji to Calangute. Getting from Panjim to Baga beach is the same as easy. 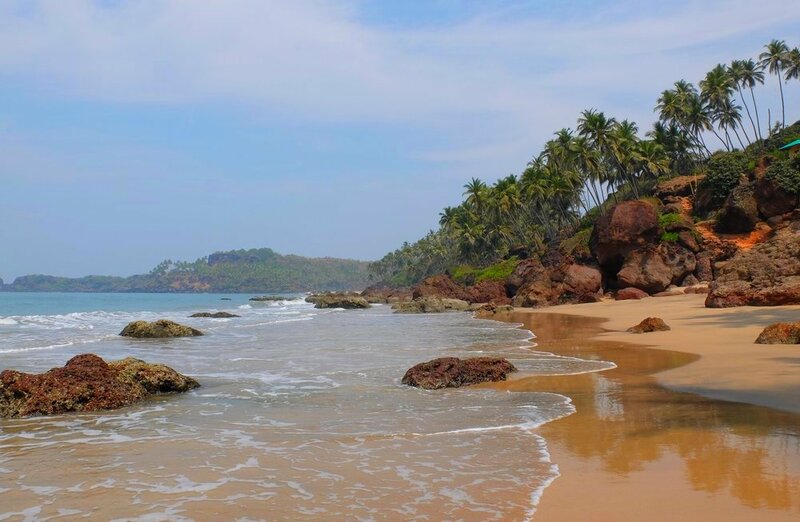 Because both beaches – Calangute and Baga – are next to each other. There are direct buses from Panjim to Calangute. Depending on where exactly in Baga you want to get you may need to walk or take a tuk-tuk or taxi. In order to bet from Panjim to Anjuna beach you need to take a bus from Panjim to Mapusa, and then there is a bus Mapusa – Anjuna. 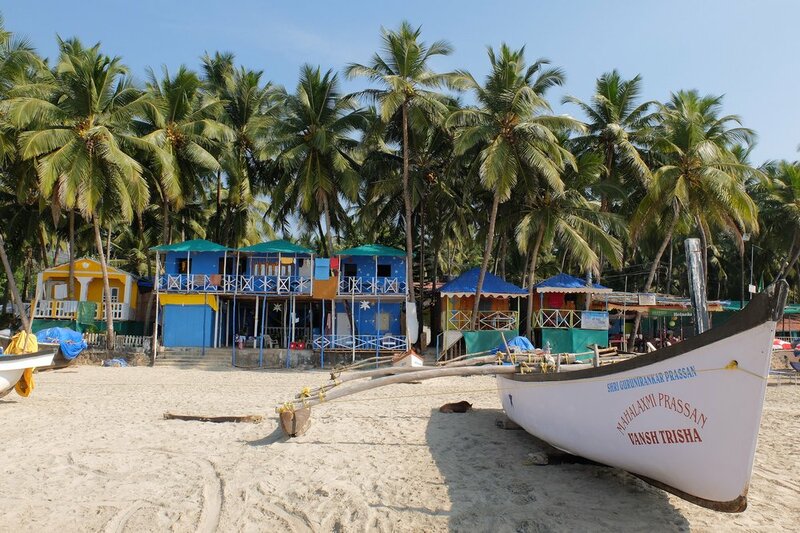 Once on Anjuna beach you can take a boat for about 100 INR to get to the Baga beach. As Calangute beach is next to Baga beach, you can walk there. In order to bet from Panjim to Vagator beach you first need to take a bus from Panjim to Mapusa, and from there there are buses going to Vagator. To get from Madgaon to Calangute, go to Panjim (Panaji) first. There are both regular and express buses. From Panjim there are direct buses to Calangute. To get from Madgaon to Baga beach, go to Panjim (Panaji) first. As already mentioned, there are both regular and express buses from Madgaon to Panjim. From Panjim there are direct buses to Calangute. And Baga is next to Calangute. We can also say that it’s the same beach, only different part of it. It will take some time to get from Madgaon to Anjuna beach, as there are no direct buses. Take a bus from Madgaon to Panjim, then – Panjim to Mapusa, then Mapusa – Anjuna. Same like with Madgaon – Anjuna, getting from Madgaon to Vagator beach will take more time, as there are no direct buses. Take a bus from Madgaon to Panjim, then – Panjim to Mapusa, then Mapusa – Vagator. Go to Margao. 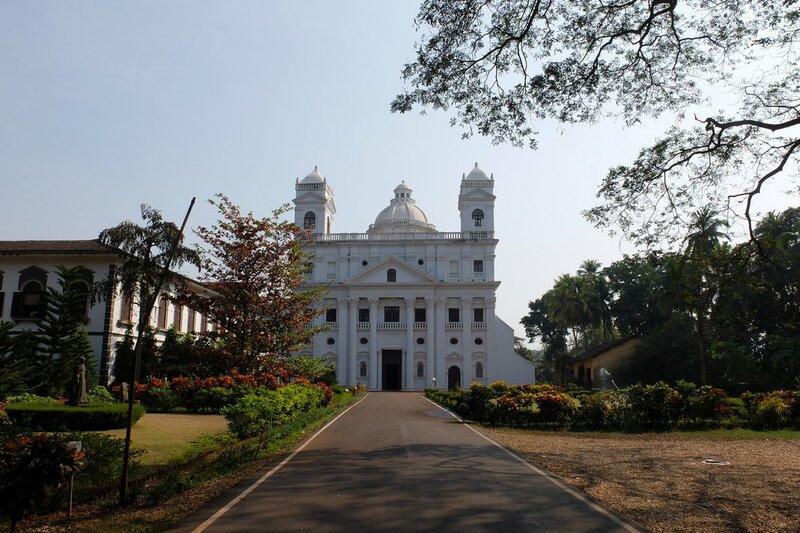 Take a bus to Panjim, then take a bus from Panjim to Old Goa. If you are in Panjim already, it’s even better for you. And, here you are, in Old Goa. There are no buses leaving right from the Margao (Madgaon) railway station. But if you are ready to walk for about 10 minutes, here’s where is the nearest place they are leaving from – Google Maps. Standing next to Hotel Raviraj, situated close to the overpass, you’ll be able to catch buses going in both directions. The ones going north most probably will stop at Madgaon bus station where you’ll have to change the bus. Go to Margao or Panjim. Take a bus to Vasco da Gama, but not the shuttle bus this time, as they don’t have any stops between the cities. And you will need to get out in between, because the airport is few kilometers before Vasco da Gama. To make sure, that you will get to the airport, when getting into the bus ask conductor or driver if the bus is going to the Airport! It total this ride to Goa International Airport will cost you about 10 times less than with taxi or moto rickshaw. I hope no. Anyway, if you have any questions, do not hesitate and ask them here in the comments or in any other ways! I remember reading about public transport in India prior to our first trip to India, in autumn 2013. Every time I stumbled upon some article or forum thread about public transport in India, I read the same thing – it’s impossible for a tourist to use local buses in India. Because you don’t know, when and where to expect them. True, not always it’s easy to find a bus stand or bus stop, but it’s far from impossible if you ask locals. And the fact, that many of them stop in between the stops, may lead to confusion as well. What else I read is – these buses are so full all the time, that you can’t even get it. Even more – because Indians will fill it up before you will notice that the bus is approaching you. I’m sure you have heard about it. Yeah, in Goa it’s not like in Hong Kong, where people are waiting in queues to take a bus and they don’t even get in if there is no free seat left, taking a bus in India isn’t too hard either. One Month in India Budget: 10 EUR/day. Hope all your experience and finding works for me. Which bus we have to take from madgaon railway station to airport. A bus going to Vasco da Gama. Ask driver or conductor to stop near the airport. Sir which bus I can prefer from airport to sinQ beach resort, Calangute? I have read that now there is a direct shuttle bus from the airport to Calangute beach for 150 INR. I haven’t used it. If you use a regular bus it can be difficult, because there are no direct buses. You need to walk a little bit – maybe 5-10 minutes, to get to the highway. From there you can catch a bus going to Vasco da Gama. 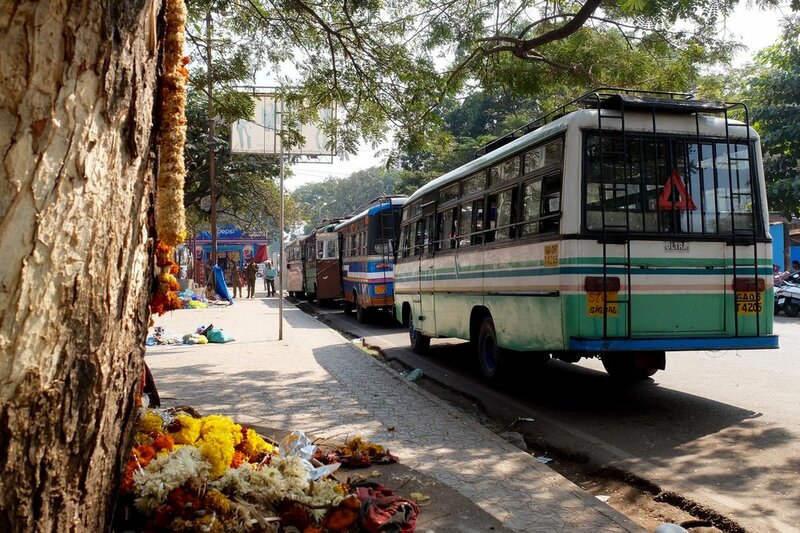 From there – a bus to Panjim or directly to Calangute. Thank you for these bus information in goa.where do you stay in each place can i know. You’re welcome! I have stayed in 3 places – 1 week in apartment near Benaulim, 1 month in apartment near Carmona beach, 1 month in Lazy Frog Hotel near Carmona. Lazy Frog is a great hotel for good price, best budget hotel in India where I have been (I’ve stayed in about 100 places). Hey Kaspars! Thank you for this article. I was wondering if there was a bus service from near Madgaon Railway station to Anjuna? Which bus would that be? I’m not sure if there is a direct bus. Go to Madgaon bus station and ask. But there definitely is a bus to Mapusa or Panjim, from where you’ll get a bus to Anjuna. Thanks for this helpful artical, It will be really helpful if you give us some info about any prepaid taxi or any other way to reach arpora from panjim in term of fares. I have heared that taxi’s are supre high in fare even for small distence , my hotel is arround 19 km from panjim , I am travelling with my family and looking for a point to point trip. thanks in advance. I’m glad it’s helpful. In my opinion your best bet would be to ask around – ask taxi or tuktuk drivers about prices. You can do it already few days in advance, so you get to know prices. We have traveled some 20 kilometers (from Colva to the airport) for around 500 INR. In places like Colva they have price list printed out and visible for everyone. So you know, how much all the most popular routes will cost you. For 3 people or more taxi most probably will be better choice, also price-wise. Take a bus to Mapusa. And from there ask for a bus to Thivim (maybe you will need to walk 5-10 minutes in the end, if there is no direct bus). Thanks for thus blog. Very nice. Do you know if it s easy to go to baga beach from the air port bu bus ? Thank you! I’m not sure how is it now. I hear there is direct bus from the airport to Calangute, and that’s next beach to Baga. Otherwise you need to leave the airport, go to the road and get a bus to Panjim or Vasco da Gama first. And then from there a bus to Baga. This option will be uncomfortable if you have a lot of luggage. Thank you for this. 1)Can you tell me which bus I take to go to Flying Lotus Tattoo from St. Michael’s church? 2) where do I catch the bus? Flying Lotus is on the way to Arambol. St. Michael’s is in Anjuna. Thank you in advance. Sorry, I missed your question! Don’t know about this particular region, where exactly there are the nearest bus stops. I would just ask the locals. Thank you for the help full article.. I want to know the bus route for travelling from palolem beach to anjuna beach. how many buses I need to change and is there ant direct connectivity?? I’m happy to hear that! I’m not 100% sure about this, but try – Palolem – Margao – Mapusa – Anjuna. So 3 buses most probably. Kaspars your article is very very helpful…please suggest sm nice n clean beech in south goa..also sm affordable hotel ..
Anand, if you want to go to a peaceful area I recommend to look for something between Benaulim and Mobor. Lazy Frog Goa is a very good hotel near Carmona beach. 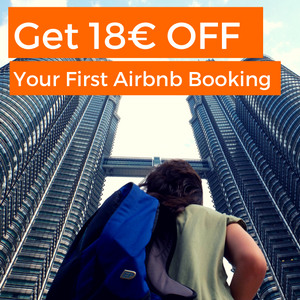 It’s more expensive than the cheapest hotels, but it’s very much worth the price. Either walk to bus station and take direct bus to Mobor or wait for the bus at the train station. Only ask someone where do busses go. Want to commute from Mapusa to Thivim railway Station (reach by 10.00 am) in morning hours. You’ll need to ask at your hotel or go to the bus station and ask there, because we don’t know it for sure. There might be a bus going there. Or you’ll need to either walk or take a rickshaw. Bus stop is some 5-10 minute walk away from railway station. There you’ll be able to get a bus to Mapusa. And from Mapusa to Calangute, which is right next to Candolim. and is bus station on walking distance from railway station? Hi! You’ll have to ask about that in the station. how to reach agonda beach from north goa? Easiest (but not the fastest) way woould be to go to Palolem first. And from Palolem you can take a bus to Agonda. You can read about getting to Palolem in the article. Thank you for writing this. Very useful! Is there bus available to reach cola beach from madgaon? 2 years ago there was no direct bus. I don’t remember for sure, but I think we first took a bus to Canacona and from there a bus to Cola. Great article. I am travelling to Goa on 31st March. Is there any bus from ‘Goa Airport’ to ‘Baga Beach’ around 5.30 PM? Hi! I haven’t tried it myself, but I hear that there is a direct bus from the airport to Calangute. Calangute is next to Baga. I’m pretty sure you should have no problems to get one at 5:30 PM. Thanks for Useful Information, Sir Can u help me Which bus from GOA Air Port to Panjim at Evening 5.15 pm & Travel Time Please . You can take a bus going from the airport to Calangute, and get out in Panjim. You’re welcome! Search for Panjim Bus Stand on Google Maps, and you’ll find where it is. Sir how can we go from madgaon ktc bus stand to railway station? Is there any local bus services available?? Yes, take any bus going to South Goa (Benaulim, Colva, Mobor, Zalor, Canacona,…). But to be on the safe side ask the conductor/driver if they will be passing railway station. Most of them are passing by railway station. Is there any local buses from panjim to vasco da gama railway station. Hi sir,pls.suhgest is there a direct bus to reach to Pissurlem Goa from madgaon? Hi! I don’t know. Because I haven’t been there myself and there are no information anywhere online or offline on all routes. At the bus station you can ask and they will defintely tell you which bus to take. Thanks for sharing this informative article.My question is do we have any bus service from Madgaon Railway station to Sinquerim, Candolim beach area? My pleasure! There are no any buses right from the bus station. Here in this article I have marked a place on Google Maps where is the nearest place where any bus stops. You can take a bus going to Calangute/Baga. But you may need to go to Panjim and possibly Mapusa first. 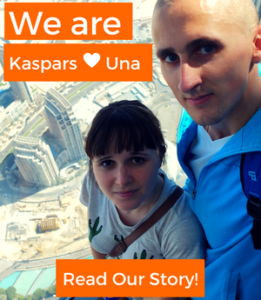 Hi Kaspars, Your article is very informative. We are going Goa this month. Hope this will be useful during our stay in goa. Sir how do i reach calangute beach from vasco da gama railway station. Sir, are there direct buses from panjim bus stand to candolim beach? You can take a bus going to Calangute. It’s close. you are great man……. really great. From latvia guiding indians in india. Thank you! :) I’m happy to share my knowledge. Sir,can i get bus from Madgaon Railway Station to Colva at 6AM? On a workday and Saturday – maybe, but you might need to wait some time, on Sunday – most probably no and you may need to wait for more than an hour. Sir, can I get a bus from Castel Rock to Vasco or Madgaon , how much is travel time & frequency? Unfourtunately I don’t know about buses between Karnataka and Goa. Hi . On 1st may , labour day , do buses run ? I’m not sure. But I would suppose that yes, like on any holiday. Only less frequent, probably. How I can reach from Colva beach to Calangute. I will be in calangute from 2712/18 to 30/12/18 and then from 30/12/18 to 01/01/18 at Calangute annexe. So, How I may plan my visits. You can go from Colva to Margao (Madgaon), and then take a bus from there to Calangute. You might need to take a bus from Margao to Panjim first, if there are no direct buses. I m planning to take a bus from Calangute to Mapusa and from there to vagator tomorrow. As its Sunday, will it be hard for me to find a bus tomorrow? There are less buses on Sundays, but you should be able to get one anyway. 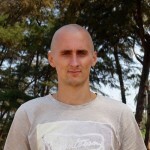 Hi Kaspars, I’m in Porvorim, near Mall de Goa. Would you know if buses stopping along (there’s a bus stop or two on that stretch) there go to Candolim? Yes, there is a bus stop next to the mall, maybe 1-minute walk away. From there you can get to Mapusa, and from there to Candolim. CAN WE GET THE LOCAL BUS FROM AIRPORT TO BAGA AT 9.10 PM ??? I would assume, that no. But ask at the airport once you arrive. Is there a bus service from Airport to Benaulim…….Thanks for your response in advance. How to reach karmali station from benaulim by bus? Plz suggest. Thnx Kaspars Misins. Great work. Could you please help with the name of bus stops of major routes? Some kind of time table. Unfourntunately, but you can’t find any timetables online. Major bus stops are bus stations mentioned in the article. By far most of the stops don’t have any stop sign, so you just have to know where to wait for the bus. Or just stand by the side of the road. Hi,How do we get local buses from Thivim to Anjuna Beach in cheaper price. I have booked a hotel at calagunte beach. Can I get a bus to go to River cruise evening and back to hotel. Great work, helped me a lot. You can find the answer in this article. Really useful, thanks! I don’t ride scooters, travel alone and it is costing a lot to pay for all these taxis. One question, what about luggage, is it possible and safe to take luggage in the bus? I’d like to go from Mapusa to Madgaon. So I’d need to transfer in Panjim. Is the train a better option? Thank you so much! Thank you for the kind words! :) It just might be difficult to get on the bus if you have too much luggage. Otherwise – it’s as safe as walking on the street :) I would go for the bus instead of train. In my opinion that’s a better option. 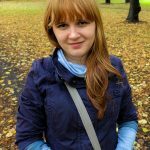 I would like to have your suggestion for best possible options for our below trip on Local bus planned next month. Also appreciate if you can let me know the frequency of BUses and expected duration for each of the above trips..
I’m not sure about number 1. You might need to wait for an hour or so. There are no timetables, so it’s hard to predict. Locals just know the times approximately (I also learn after a while after staying there longer). But as they may change it’s hard to predict anything. Number 2 shouldn’t be a problem. Number 3 – ask locals, when is the last bus. Maybe you would need to go a bit earlier. Hi kaspars! Lovely article. I’m reaching madgaon station at 4 30 am. I need to reach bambolim from there to join my friends who are staying at an Airbnb. Can you suggest any cheap mode of transport at that time? Hi! Motorbike taxi will be the cheapest mode of transportation this early. Or maybe a tuk tuk. Hi, How to reach morjim from panaji? 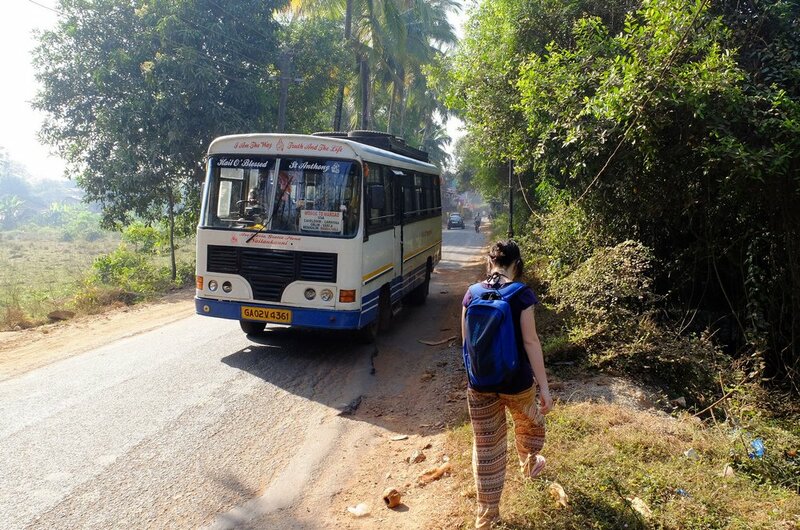 Are there local buses from Goa to Gokarna? A friend of mine is reaching Goa airport quite early in the morning and needs to take a bus to reach Gokarna. We looked at train timings and they clash with the flight timings. Taxis are too expensive for one single person. Hence, local bus is the only option. Go to Margao bus station and get a bus to Karwar (hourly). From Karwar you can take another bus, to Gokarna. Unfortunately the bus schedule isn’t available online. Safe travels! I’m portuguese, and my boyfriend has just traveled with this bus a few hours ago (from Goa to Mapusa) and is luggage was lost (or stolen). He lost over 1000€ of paragliding material he had inside it. He couldn’t stay because he has to catch the plane on time at mumbai tomorrow, so he had to follow his trip. I’m trying to contact the bus company, but I can’t reach any phone number or email. Do you have any you could give me please? Can you please reply to my email address? Thank you so much. We are kinda desperate. Hi, I was wondering if there were bus facilities to places like Aguada Fort and Chapora Fort as well? To get to Aguada fort take a bus to Sinquerim (from Panaji). If I remember correctly one has to walk to get to the fort as the stop is not in front of the fort. There also should be regular bus to Chapora fort as well. Also from Panaji. I wanted to know if there are any bus services available from Goa airport to Bogmallo beach resort as the taxi service is costing 900-1000 for return trip. I am not sure about the Goa airport but you can get a bus to Bogmalo from Vasco da Gama which is a city not too far away from the airport. You can get there by a local bus from the airport. Sir which bus i can prefer for parra to mapusa taxi stand. There should be a local bus from Baga to Mapusa bus stand. Unfortunately, I don’t know where exactly the bus stop in Parra is. The taxi stand in Mapusa is not far away from the bus stand. You can walk there. It takes a few minutes. Hi, please help me on this.. I want to travel from thivim railway station to Calangute or Anjuna.. how I do get local bus for these sector. Please do let me know if there is a direct bus from Madgaon to Assagaon.